My almost 3 year old is an active iPad user. Every day she’s on it and I can honestly say that it is helping her development. She isn’t even in school yet and she’s already learned her colors, can recognize many of her letters and numbers, and can recognize what many different objects are. That’s why I’m always on the lookout for new children’s apps for her to play. 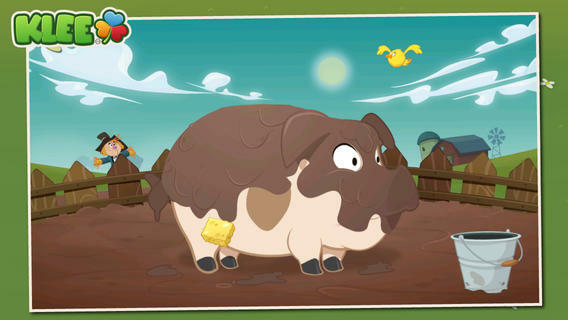 One new app I found recently is Tommy’ Farm by Sebastian Kehoe. 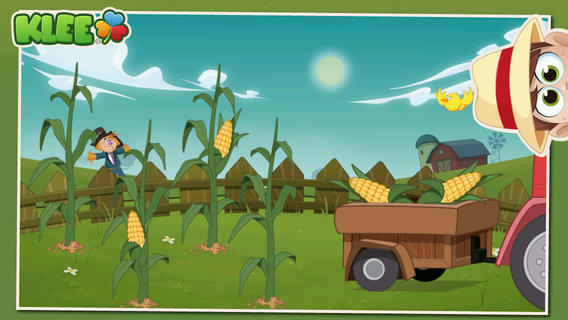 This is a simple app that teaches kids what it’s like to be on a farm. Be a farmer for a day and help Tommy with his daily chores around the farm. This is a very simple, good looking game. The art in the game is very well drawn and very colorful. The animals have a very fun look to them being cartoonish representations of real animals. Audio in the game is good as well with realistic sound effects and a small cheer after each completed activity. Children love to be told they did well on an activity and the cheer is a good touch. The activities in the game are simple and perfect for young children. They range from dragging vegetables into your tractor, milking a cow, collecting fur off a sheep, and there are even some simple puzzles to complete. The activities are simple enough for young children to play with 12 different activities to do. Each one allows them to play at their own pace so there’s no feeling of being rushed or feeling of disappointment if they can’t finish on time. Overall, Tommy’s Farm is a fun, educational game for young children that will give them a small taste of what life on the farm is like. The app has very good art and animations and I think most young children should have a good time playing it. Compatible Devices: (Universal App) Requires iOS 6.1 or later. Compatible with iPhone, iPad, and iPod touch. This app is optimized for iPhone 5. Be a farmer for a day and help Tommy with his chores! Get to know the animals and the activities performed at this farm while enjoying gentle characters and their sounds and animations, which turn the application into an enriching experience for children. 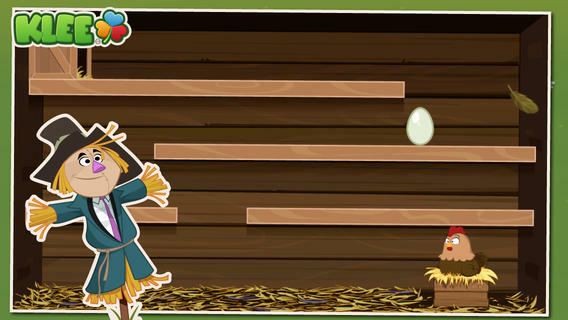 Tommy’s Farm is an activity and puzzle game where you will have to help Tommy in several chores at his farm. The game has no timing or winning/losing situations, for children to play freely and comfortably with no stress and at their own pace.